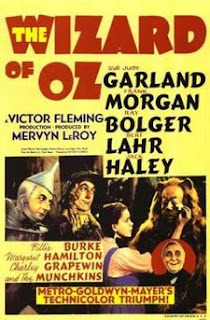 The Wizard of Oz is a 1939 American musical fantasy film produced by Metro-Goldwyn-Mayer. It was directed primarily by Victor Fleming. Noel Langley, Florence Ryerson and Edgar Allan Woolf received credit for the screenplay, but there were uncredited contributions by others. The lyrics for the songs were written by E.Y. Harburg, the music by Harold Arlen. Incidental music, based largely on the songs, was by Herbert Stothart, with borrowings from classical composers. Based on the 1900 fairytale novel, The Wonderful Wizard of Oz by L. Frank Baum, the film stars Judy Garland, Ray Bolger, Jack Haley, Bert Lahr, and Frank Morgan, with Billie Burke, Margaret Hamilton, Charles Grapewin, Clara Blandick and the Singer Midgets as the Munchkins. 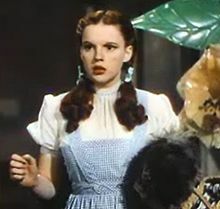 Notable for its use of special effects, Technicolor, fantasy storytelling and unusual characters, The Wizard of Oz has become, over the years, one of the best-known of all films. 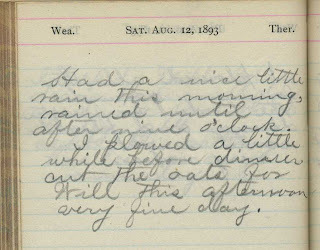 It is far and away the best-known version of L. Frank Baum's book, perhaps even eclipsing the fame of the novel itself. 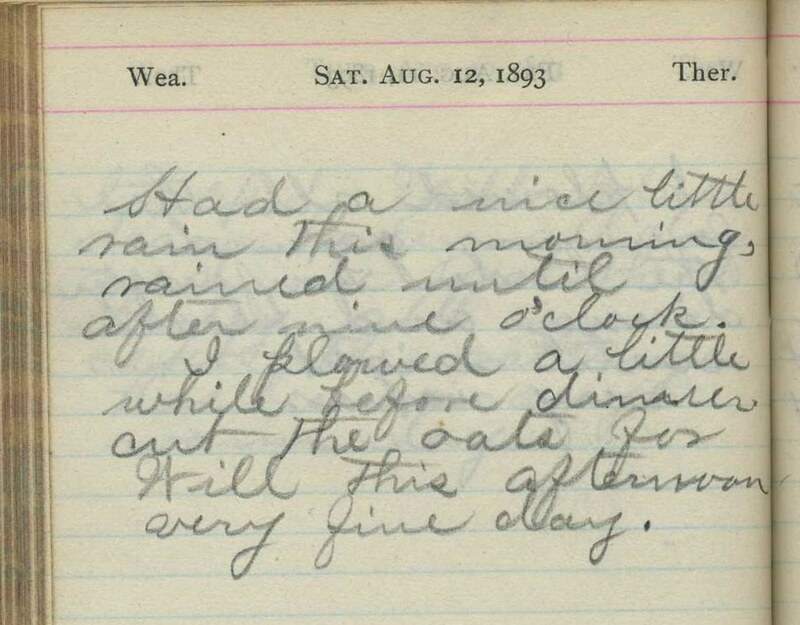 Although it received largely positive reviews, won two Academy Awards, and was nominated for Best Picture of the Year (losing to Gone with the Wind), The Wizard of Oz was initially a box office failure. The film was MGM's most expensive production up to that time, but its initial release failed to recoup the studio's investment. Subsequent re-releases made up for that, however. "Over the Rainbow" won the Academy Award for Best Original Song and the film itself received several Academy Award nominations. 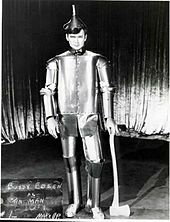 Buddy Ebsen was originally cast as the Tin Man Man. However, ten days into the shoot Ebsen suffered a reaction to the aluminum powder makeup he wore; the powder he breathed in daily as it was applied had coated his lungs. Ebsen was hospitalized in critical condition, and subsequently was forced to leave the project; in a later interview (included on the 2005 DVD release of Wizard of Oz), Ebsen recalled the studio heads initially disbelieving that he was seriously ill, only realizing the extent of the actor's condition when they showed up in the hospital as he was convalescing in an iron lung. Ebsen's sudden medical departure caused the film to shut down while a new actor was found to fill the part. No full footage of Ebsen as the Tin Man has ever been released — only photographs taken during filming and test photos of different makeup styles remain. MGM did not publicize the reasons for Ebsen's departure until decades later, in a promotional documentary about the film. His replacement, Jack Haley, simply assumed he had been fired.